Photo: Zsuzsanna Tandi at the opening of the incubator house. 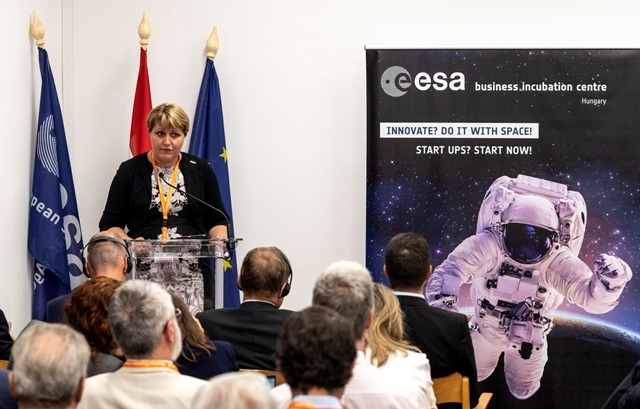 ESA, European Space Agency’s office network is looking for investment opportunities in Hungary for entrepreneurs in the market of Space Technology transferred to the ground. ESA TTO Hungary, in cooperation with the MTA Wigner Physics Research Center, opened its business incubator house in Csillebérc in early July with the aim of supporting for up to five years of projects producing innovative products and services and thereby promote the application of space technology...In the field of radio technology, SAGAX Communications has successfully applied, with its innovative solution for making border control more efficient. The company works with the help of researchers and border security experts of the National University of Public Service.